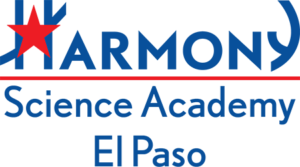 I am very humbled and honored to introduce myself as the new principal of Harmony Science Academy El Paso and to join this excellent school community. I can assure you that I share in this school community’s dedication to caring for our students every day while providing them with a meaningful learning environment. The 2018-2019 school year will mark my 13th year in education. I have served as the high school counselor in HSA El Paso from 2009 to 2015, and as the alumni relations coordinator from 2012 to 2015. I also have been teaching engineering and computer science since I began my teaching career twelve years ago. Over the year of 2015, I have assumed the roles of the director of college counseling and alumni relations for the district. Most recently, I was the Director of Academics (9-12) in our school district for two years. I am also an AP Reader. Besides, I mentored and coached robotics teams between 2009 and 2013. I also have been tutoring and sponsoring the school’s UIL computer science team since 2011. My educational background includes a Bachelor of Science Degree in Computer Engineering from the Gebze Institute of Technology and a Master of Education Degree as an Instructional Specialist from the University of Texas at El Paso. I received the Adult Mentor/Coach Award in Tri-State FLL Robotics Tournament in 2011, the NCWIT Educator Award in 2012 and the WeTeach_CS Change Maker Award in 2017. I am the founder of Harmony El Paso Alumni Association and Harmony Miners Organization. I firmly believe that every child can exceed and that the cooperation between home and school builds trust and self-esteem in students. So our students can use their highest potential to shape their future, consequently, the future of our community and our nation. With my goal of advancing the culture of excellence here at HSA El Paso, I am devoted to continually exploring new ideas to meet the needs of all students and to interact with parents and community members more efficiently. We will be meeting as the staff, and with parents and students throughout the year to identify specific goals in the areas of student achievement, school climate, and parent communication. To our students, I cannot wait to see you all! I hope that you are excited for this coming school year. It is going to be a meaningful and fun year. We will be learning together to achieve the highest accomplishments. 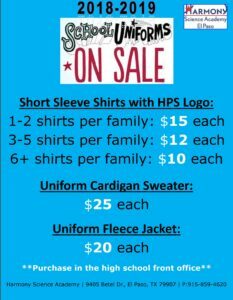 If you are nearby the school at all for the remaining of summer, please stop by and say hello! To conclude, please remember that my door is always open to you. I sincerely welcome your conversation and input during this year. Let us keep our students the primary focus of our work. I can’t wait to celebrate our collective successes during the 2018-2019 school year.